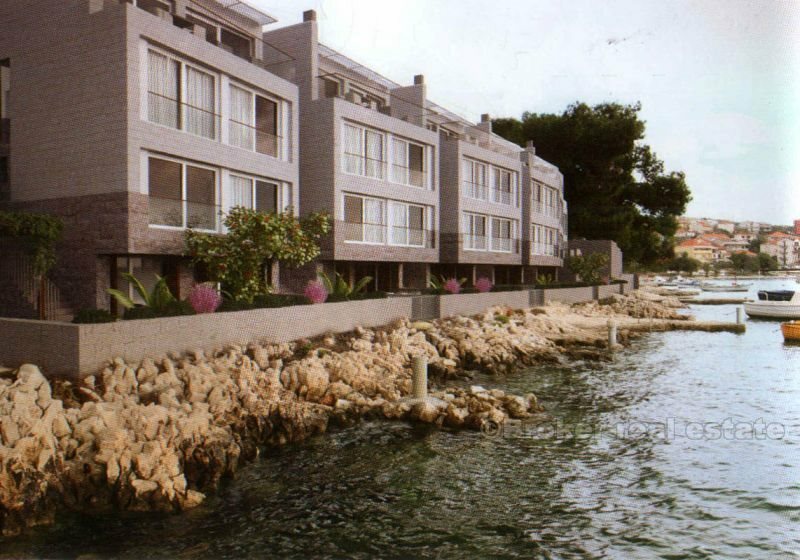 Luxury apartments and house, by the sea, on sale. 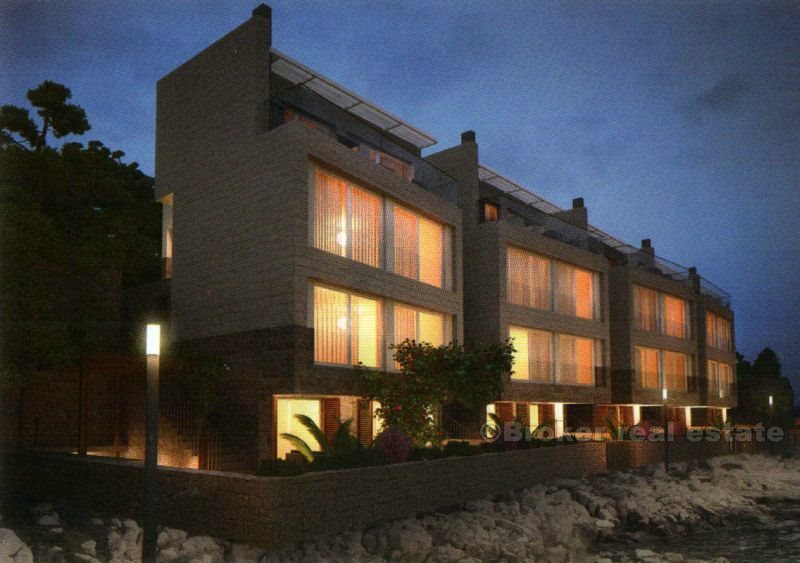 4 apartments (each on 2 floors) and house/villa (on 4 floors and swimming pool) first row to the sea. 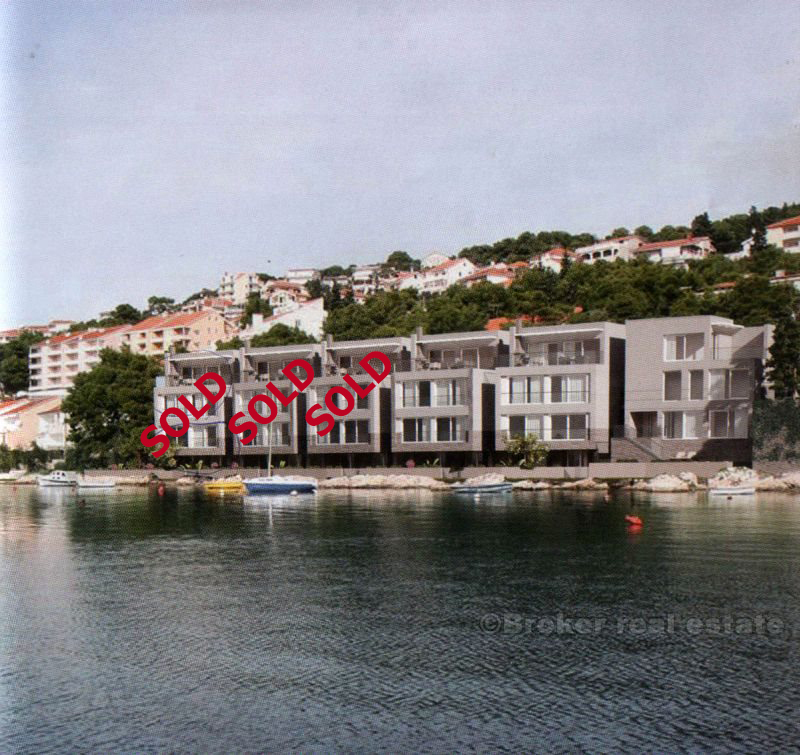 6 apartments are sold already. Apartment is on 2 floors, ground floor (living room with kitchen and dinning room, toilet, storage room and stairs) on 39 m2 and terrace and garden on 23,40 m2. 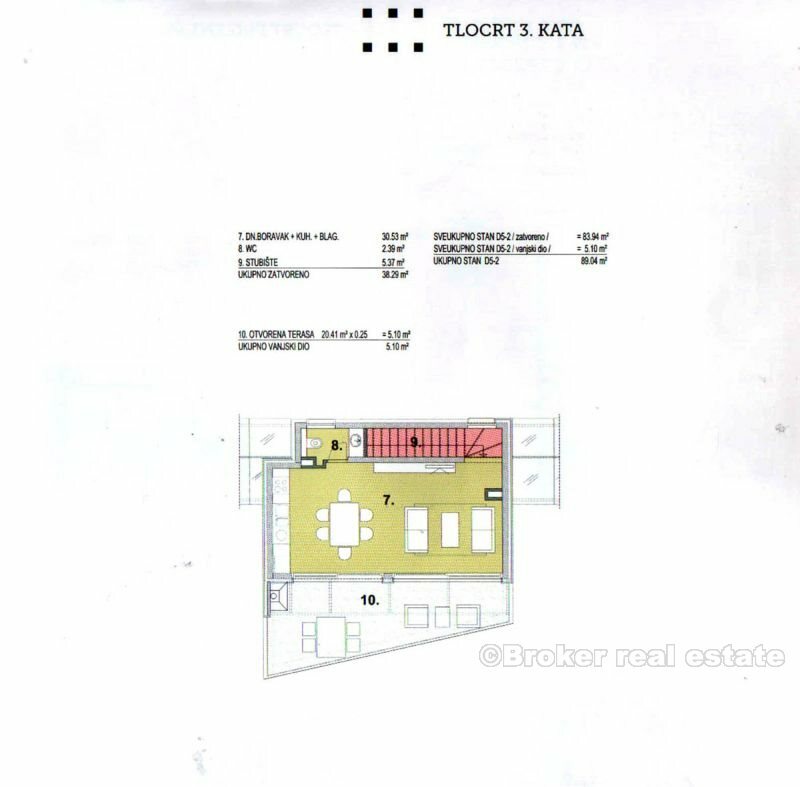 First floor has 2 sleeping rooms with toilets, separate toilet, hallway and stairs on 67,50 m2. 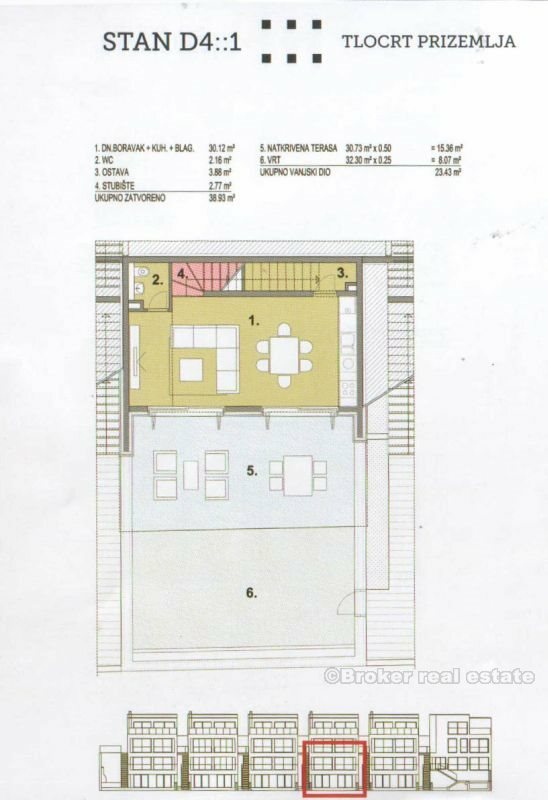 Total living area is 109,32 m2 and open (terrace and garden) area of 23,43 m2, which makes apartment of total area 132,75 m2. With this apartment comes 2 parking slots. 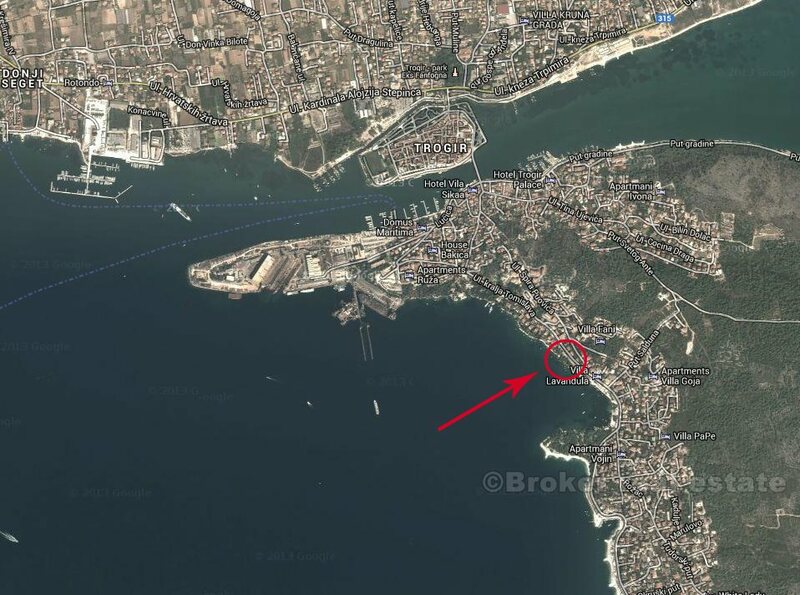 Apartment is on 2 floors, second floor (2 sleeping rooms with toilets, separate toilet, hallway and stairs) on 58 m2. 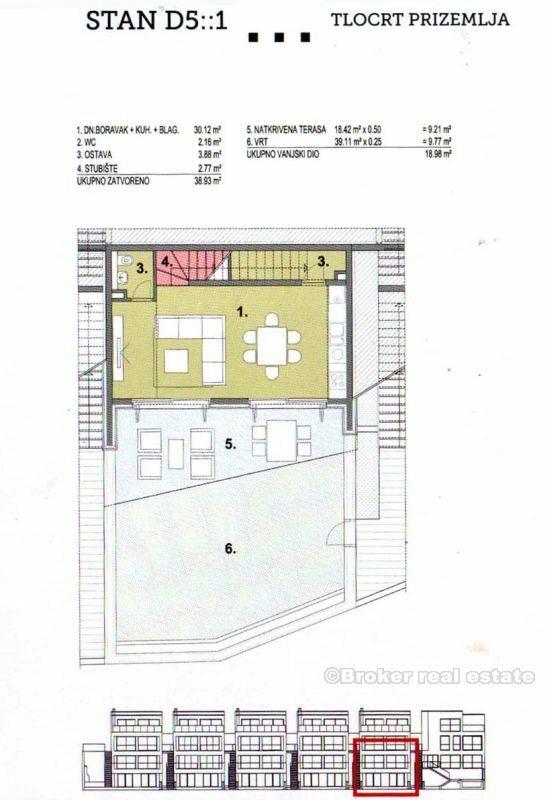 Third floor has living room with kitchen and dinning room, separate toilet and stairs on 38,29 m2. Open terrace is 8,50 m2. 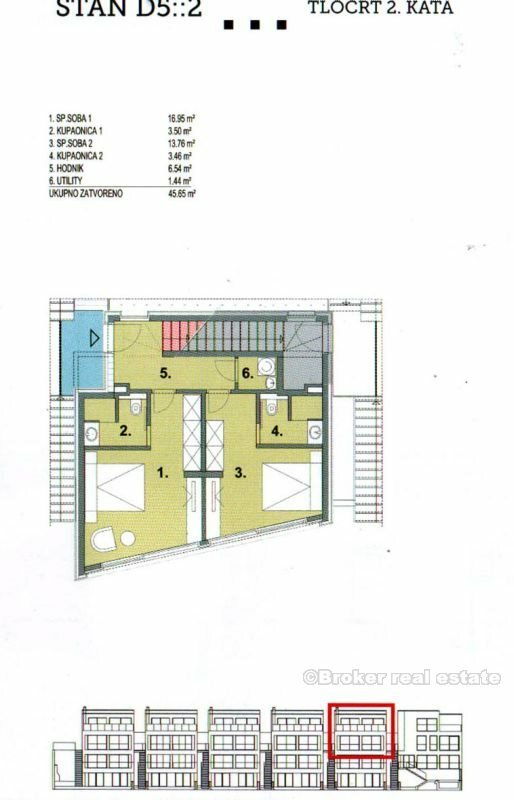 Total living area is 96,17 m2 and open (terrace) area of 8,50 m2, which makes apartment of total area 104,59 m2. Apartment is on 2 floors, ground floor (living room with kitchen and dinning room, toilet, storage room and stairs) on 39 m2 and terrace and garden on 19 m2. 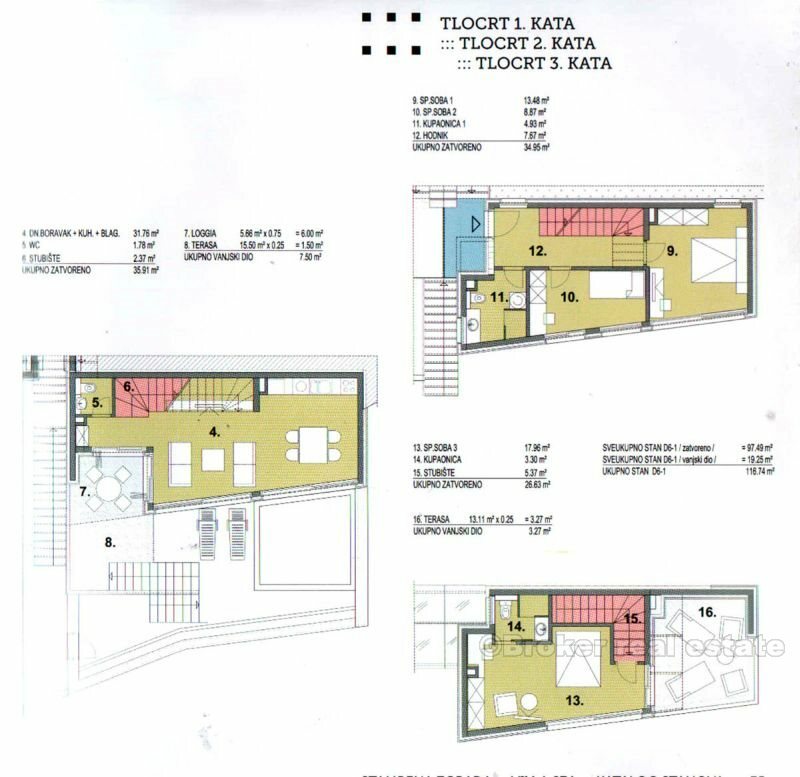 First floor has 2 sleeping rooms with toilets, separate toilet, hallway and stairs on 55 m2. 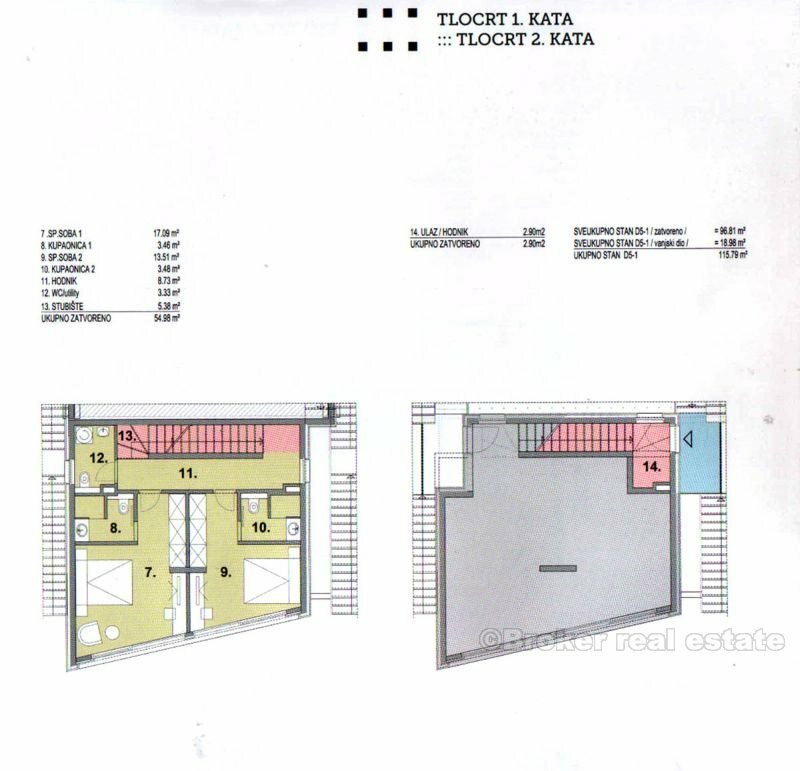 Total living area is 97 m2 and open (terrace and garden) area of 19 m2, which makes apartment of total area 117,79 m2. 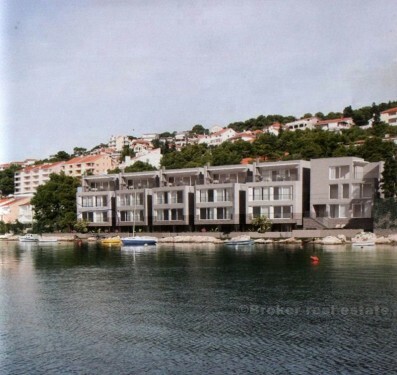 Apartment is on 2 floors, second floor (2 sleeping rooms with toilets, separate toilet, hallway and stairs) on 45,65 m2. 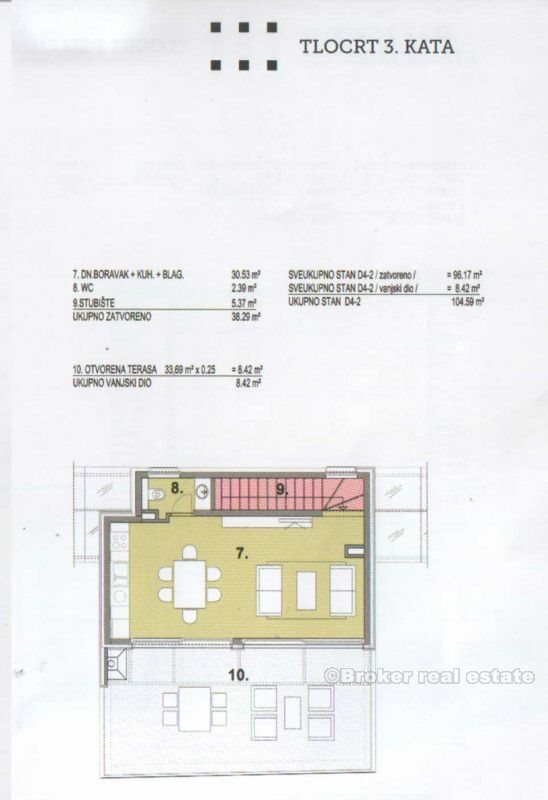 Third floor has living room with kitchen and dinning room, separate toilet and stairs on 38,29 m2. 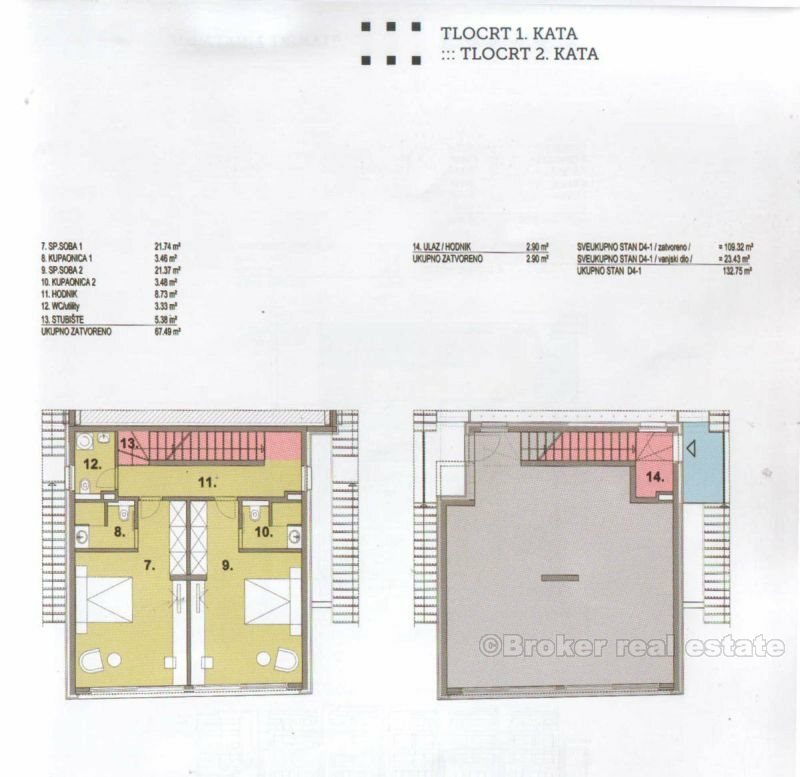 Open terrace is 5,10 m2. 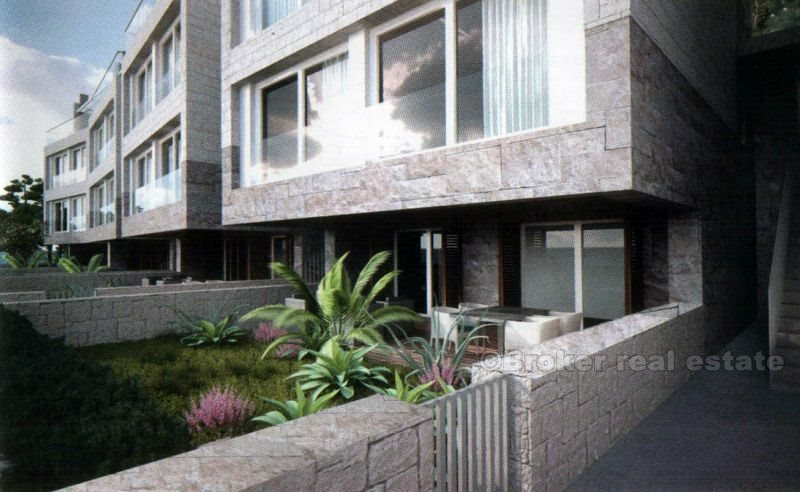 Total living area is 83,94 m2 and open (terrace) area of 5,10 m2, which makes apartment of total area 89,04 m2. House / villa is on 4 floors with terrace, garden, swimming pool on ground floor on 8,48 m2. 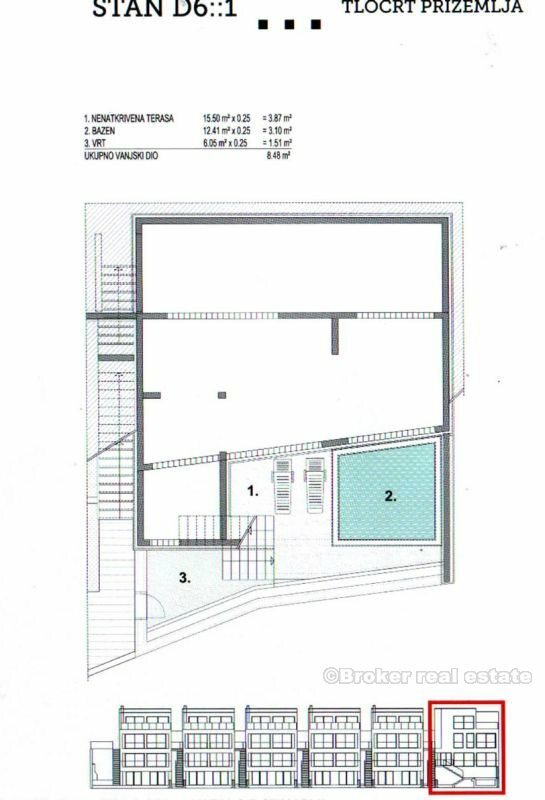 On first floor there is living room with kitchen and dinning room, toilet, stairs, which makes total of 35,91 m2 and loggia and terrace on 7,50 m2. On second floor there are 2 sleeping rooms, toilet and hallway on 34,95 m2. 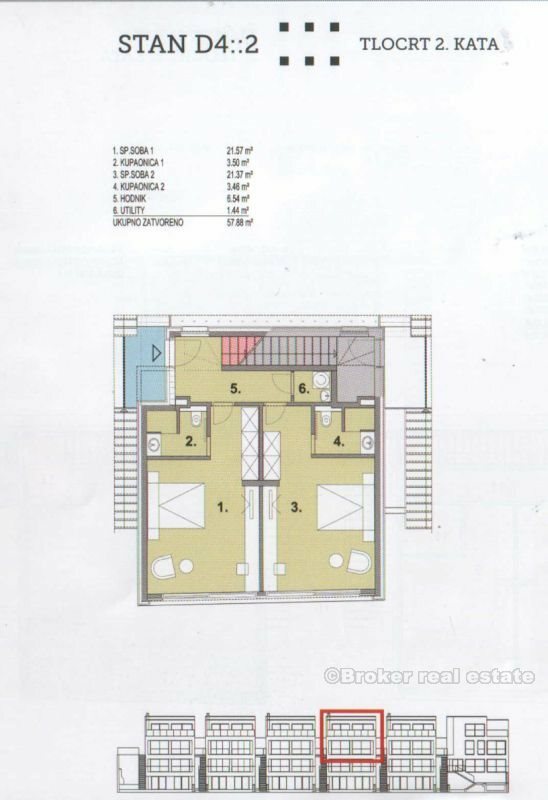 On third floor there is selling room, toilet, hallway on 26,63 m2 and terrace. 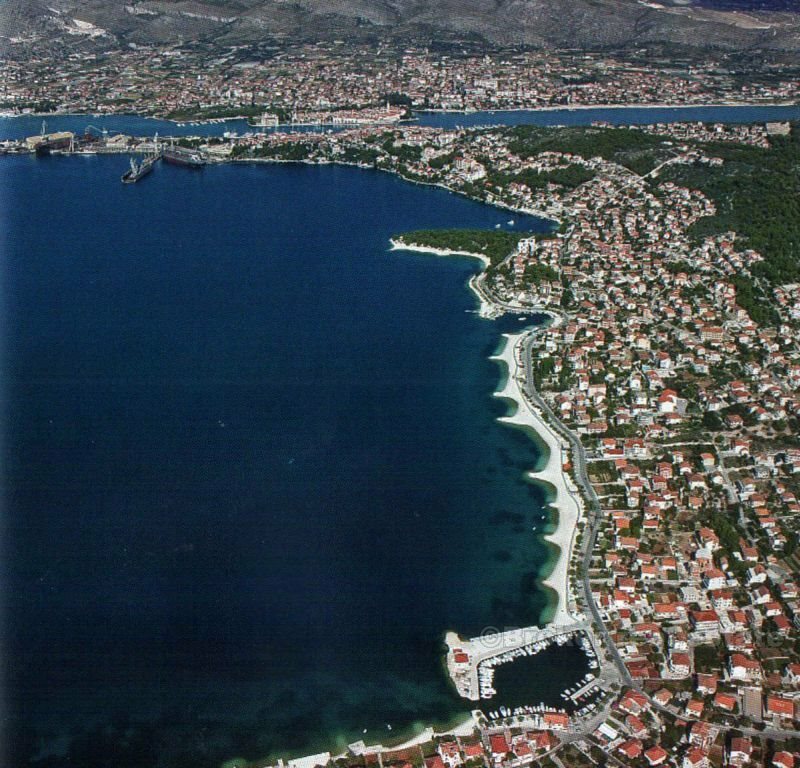 House has 97,49 m2 living area and 19,25 m2 open area which makes total of 116,74 m2. 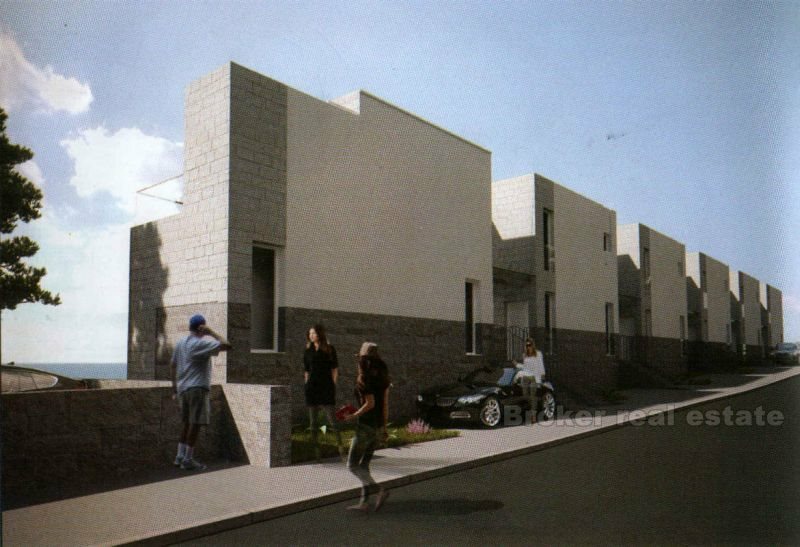 With this house / villa comes 2 parking slots. Note: Swimming pool, garden, terrace and loggia are expressed in coefficient.